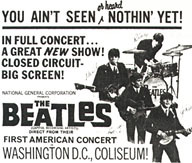 This was the Beatles first-ever concert in North America, and unused tickets for this show are among the most sought after of all Beatles tickets. 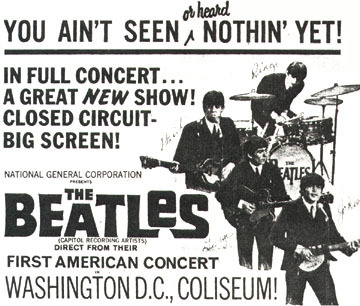 Poster and newspaper ad for the closed-circuit telecast March 14th and 15th. 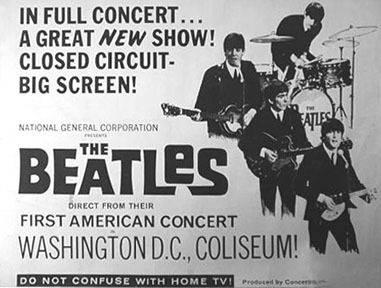 Some examples of Beatles closed-circuit tickets.